Over $100 of groceries for $30! Make sure you check out my giveaway for a FREE product coupon from Edwards Pies! I love beginning of the year sale cycles! It is so nice to see better for you foods and items that don't usually have coupons go on sale. There weren't a ton of crazy deals for me in this week's Publix ad so I just spent my budget on dinner staples and a few good sale items. When I look at this relatively small shopping trip I cannot believe that its retail price is over $100. To be able to get everything for around $30 makes me very happy. 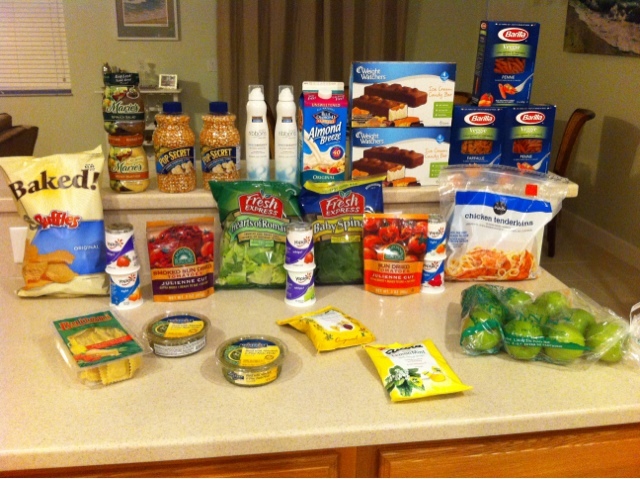 : ) All of this plus our stockpile will be more than enough to keep us well fed this upcoming week. 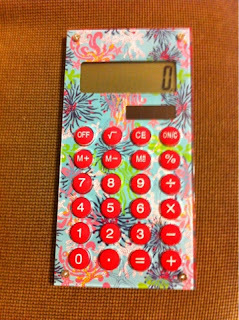 How cute is my new Lilly Pulitzer couponing calculator? Such a fun Christmas present from my siblings! I had planned on taking advantage of some Butterball deals but I didn't see the products/prices at my store so I may hit up another store in my area over the weekend and see if they carry them. I have been wanting to do a Target and CVS trip since before the New Year but with our schedules I just haven't made it. Maybe on Sunday I will head out and do some shopping somewhere other than Publix. I did use two $5/$30 Winn Dixie coupons since my precoupon total was over $60. Other than that most of my savings come from store sales not coupons. This trip actually took me about 10 minutes to plan and it was nice to have an easy week of shopping for once! good job.. fuji apples sound like a good deal, might consider getting those. i have been searching for the veggie pasta since sunday and still they are out of stock, so glad u was able to get them.. might try the weight watchers too jeejje.. thanks for the post.